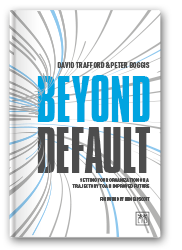 This handbook provides a comprehensive and unparalleled reference point for studying continuous business transformation. Asserting that change will be the new norm, and highlighting the fact that business transformation can never be complete, this important resource is a tool for coping with ongoing change in order to become and stay resilient, the predominant concern of executives across industries. 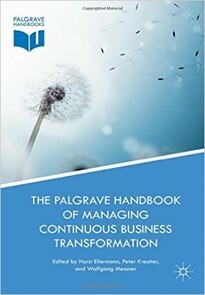 Containing case study material to illustrate issues and solutions, The Palgrave Handbook of Managing Continuous Business Transformation takes an interdisciplinary approach weaving together strategic concepts with real-life experiences, connecting human resource issues with shifts in information technology and linking customers with the businesses from which they buy. Structured into four parts: transformational shifts, achieving customer centricity, dealing with new technology and leading the change, this handbook is crucial reading for academics, scholars and practitioners of business transformation. This chapter explores how the role of leaders needs to change, given the profound impact that digital technology has, and is continuing to have, on organisations. It is based on a longitudinal review of the experiences gained by the authors in advising and supporting organisations across a range of industries to become more ‘digital’. It concludes that many organisations have yet to recognise the fundamental shift in the primary role of leaders—together with the process of leadership—that is required if they are to become truly digitally enabled enterprises. It suggests five leadership principles for the digital age.